It’s been one year since the CIA established the Directorate for Digital Innovation—the first new major directorate stood up by the agency in more than 50 years. The goal of the new directorate is to integrate emerging technological capabilities more closely with the traditional roles of intelligence collection, analysis, production, and dissemination. But one small part of this new endeavor is beginning to pay off in a big way. The CIA recently stood up an “anticipatory intelligence unit” that leverages emerging capabilities in big data and computing power to help the agency’s analysts stay ahead of developing situations around the world. But how much ahead of the world’s many complex socio-economic and political problems can the CIA expect to get? According to Hallman, who recently spoke at an event hosted by Government Executive and NextGov, the agency has been able to anticipate social and societal unrest as much as much as three to five days in advance. Surprisingly, the CIA’s new Directorate of Digital Innovation has been watching and learning from the growing advertising technology market. According to Chris Darby, president and CEO of the CIA’s venture capital firm, In-Q-Tel, ad-tech firms are generating identity intelligence in real time and at a granular level that many in the intelligence community are barred from collecting. 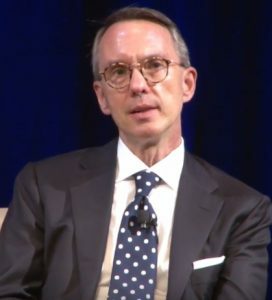 “These companies are intelligence agencies on their own,” said Darby, who also spoke at the Third Ethos and Profession of Intelligence Conference sponsored by the CIA and George Washington University’s Center for Cyber and Homeland Security. Big data will be front and center at MeriTalk’s 2016 Big Data Brainstorm Nov. 16 at the Newseum in Washington, D.C.